Did you know that you already possess all the tools you need to unlock your hidden potential and help you lead an intuitive, psychic life? For years, John Holland has been teaching people how to awaken, access and develop their dormant intuitive senses to assist them in making better decisions as they navigate their way through their busy lives. 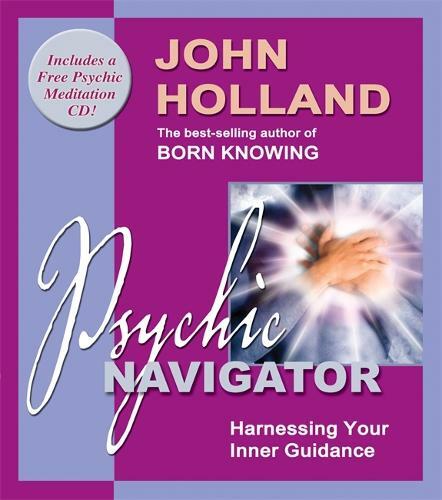 If you're looking to reconnect with the psychic abilities we're all born with, then Psychic Navigator is the book for you! Let John become the guide who helps you create new paths to find your way back to your true, intuitive self. He'll explain the mechanics of your inner awareness, which can be activated and heightened using meditation and breath work, as well as providing a deeper understanding of your chakras and aura. John incorporates much of his teachings into this highly inspirational book, which is packed with easy-to-follow practical exercises (including a guided-meditation CD) that will amplify and empower your inner guidance. As you utilize your renewed psychic senses, they will assist you with your health, personal relationships, important business decisions... and virtually every aspect of your life!